Dedicate this knowledge to the life. That lives in the past, the present, the future. Those who want to know the truth without doubt, should experiment. 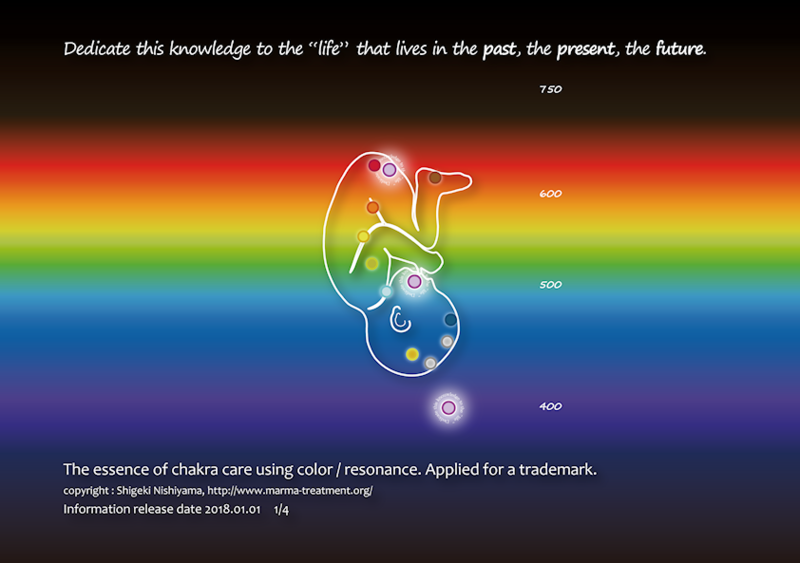 The essence of chakra using color, resonance. applied for a trademark. 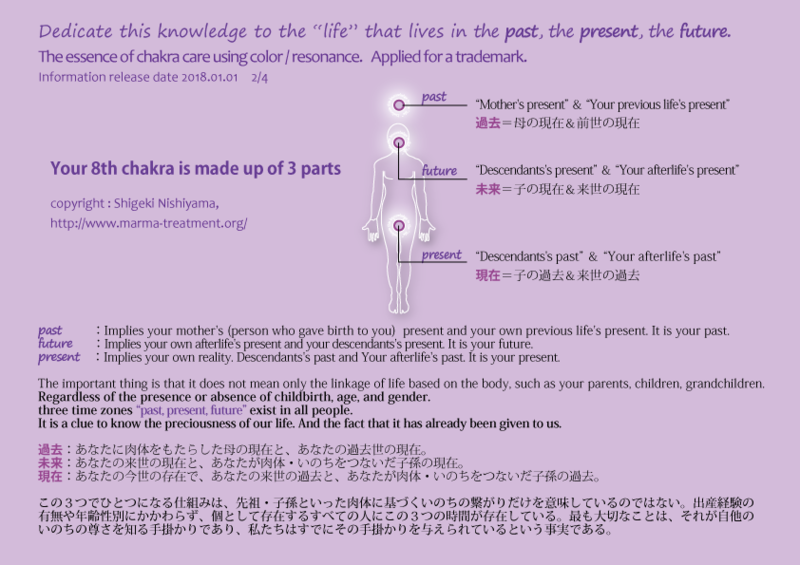 past：Implies your mother's (person who gave birth to you) present and your own previous life's present. It is your past. future：Implies your own afterlife's present and your descendants's present. It is your future. present：Implies your own reality. Descendants's past and Your afterlife's past. It is your present. such as your parents, children, grandchildren. Regardless of the presence or absence of childbirth, age, and gender. three time zones “past, present, future” exist in all people. 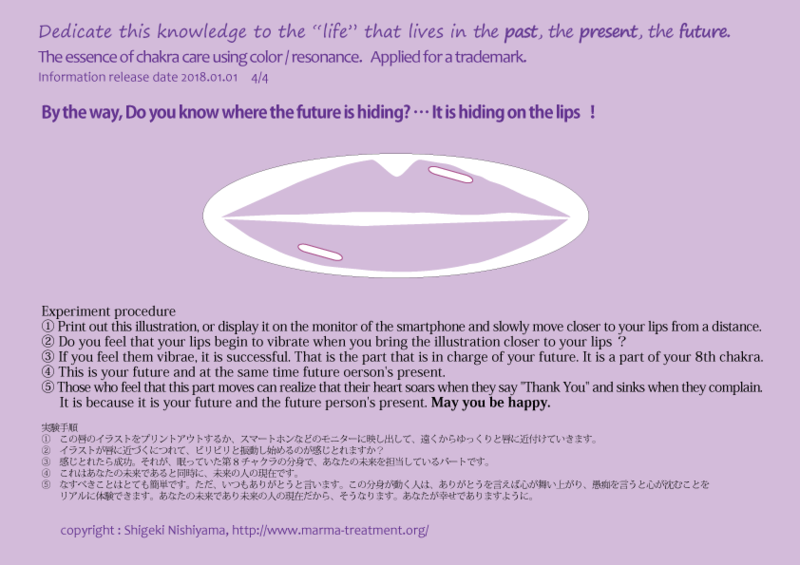 It is a clue to know the preciousness of our life. And the fact that it has already been given to us. With this way you can learn the connection of life, and the splendor of yourself and others. �@ Print out this illustration, or display it on the monitor of the smartphone and slowly move closer to your lips from a distance. �B If you feel them vibrate, it is successful. That is the part that is in charge of your future. 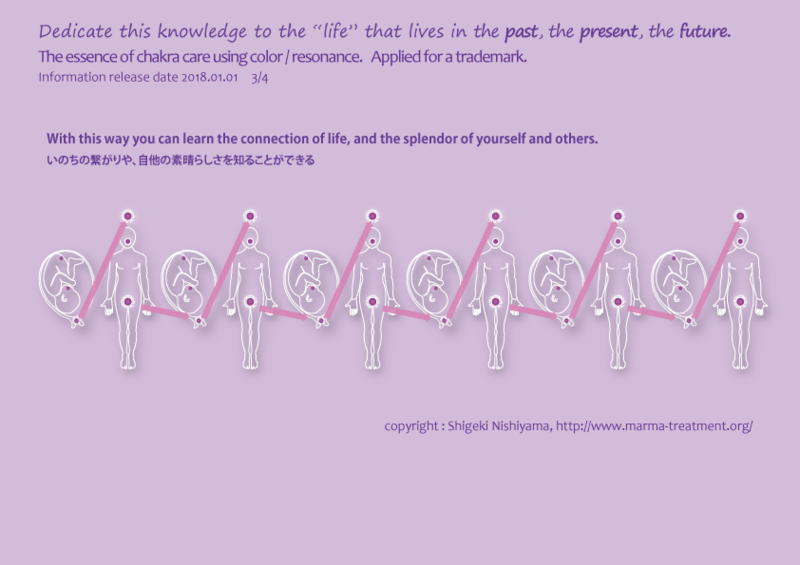 It is a part of your 8th chakra. �C This is your future and at the same time future oerson's present. �D Those who feel that this part moves can realize that their heart soars when they say "Thank You" and sinks when they complain. It is because it is your future and the future person's present. May you be happy.